Your Top 10 favourite SRK movies? Now that Zero is coming out soon, I was wondering which SRK movies people here liked the most/least. My 10 favorites. Not in any particular order. SRK was amazing in it but I thought Swades was incredibly boring. Detest Bhansali movies and was bored by Devdas too. Very difficult to name only 10. But for the sake of it. I'm someone who would have difficulties to pic favourite like that, I'm more like "which movie of a certain type I like the most". For example in the vain of KabhiHaanKabhiNaa I equally like RabNeBanaDiJodi and JabHarryMetSejal. Those with a political background, it's DilSe, MainHoonNaa and MyNameIsKhan. On the comedy front it would be Duplicate, Baadshah and ChennaiExpress. For character design I would choose RajuBanGayaGentleman, Yes Boss, Devdas, Don and Raees. For romantic love story there would be DDLJ, KKHH, VeerZaara and DilToPagalHai. In the action department I put Koyla, KaranArjun and Don2. When it comes to inherent Indian 'matters' there would be PBDHH, Asoka, Swades,Paheli and OSO. I surely have some movies with a strong personal connect because they mark - for example - special events in my life. However I would not lable them as my favourite ones, just special ones among them Mohabbattein, Deewaana, Maya Memsaab, JabTakHaiJaan. 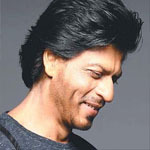 There many like pardes, yes boss, badshah dilse fan mnik Khnh etc. and my personal favorite is Raju ban Gaya gentleman. 3. Don 2 - loved the ending of the first Don movie. It blows my mind whenever i realize he did Darr, DDLJ and Sunil all around the same time. Wow. For me best SRK film is Baazigar. He threw the leading lady off the terrace and I fell in love with this new actor. That one is the most most special film for me. I have a special place for Kabhi Haan Kabhi Naa and Raju Ban Gaya Gentleman. If the time of Baazigar, Darr and Anjaam, these film just showcased the range of new actor. Yeah Baazigar remains a classic, that moment where he throws off Shilpa's character off the terrace is one of the most memorable one's in any BW movie for me. I wasn't spoiled before I watched the movie so it caught me completely off guard. His character in that movie is really compelling, wish he did more like that but after DDLJ he understandably focused more on romance movies which I love as well. I think DDLJ holds up a bit better (less obvious flaws) and SRK's character there is stronger (in KKHH he was overshadowed by Kajol's character) but KKHH is still amazing as well. I don't think any BW actor will beat SRK as a romantic hero in his peak and of course the innocent vibe of the 90's also added a lot here (Aditya and Karan make more "mature" movies now but for me they aren't nearly as memorable). They don't make movies like this one anymore. Yeah, he made KKHH's Rahul more memorable than it was written to be, all by himself. I can almost put money on it. There was absolutely nothing to it, but Shahrukh's mere presence totally lifted it higher than it was meant to be. Well, then I too would get hammered because as a movie overall, I actually like KKHH over DDLJ. For SRK's performance DDLJ over KKHH. KKHH I feel was love triangle done just right. It actually had a lot more depth underneath the KJos fluff. The dynamics between the trio, the suppressed feelings between Rahul-Anjali-Tina were just brilliant. Amazing music, side characters and that killer special appearance by Salman. And overall, it was an absolute roller coaster and just so much fun. It took the romantic-dramedy formula and redefined it in a way only KJo could have done. True it's an iconic movie. I don't like how even Karan Johar bashes it these days, it seems like he is ashamed of it or something..he tries too hard to be more "realistic" now but his movies have lost a lot of charm that over the years. KKHH and K3G remain his best imho. Always great to rewatch. I think this has happened because of how Karan's personality has changed over time. Back then he used to embrace the fact that he has made such hugely successful, multi-starrer dramas overflowing with emotions. But once his Dharma empire started growing he just lost it. He feels like he is better than the movies and the people he revered during his early days. The success has totally gone into his head. You can even see this in the early episodes of Koffee with Karan where he was a lot more subdued, and now he is just self praising and unbearable. SRK's cameo in Luck By Chance comes to mind. He has forgotten what/who actually got him where he is right now. Not to mention, what is for me one of the greatest scenes of all time in hindi movies - the scene at the summer camp when Anjali watches Rahul on TV uttering the words "I love you Anjali", to later find out he was talking about his daughter Anjali, then running to her tent to find her clutching on to a photo frame of her mother, all the while knowing just exactly whose picture she is going to see in it when she finally looks..... just pure 90s hindi cinema magic for me. And the pace of the background music matching the emotions being played out on the screen, and of course Kajol's tour-de-force, is the cherry on top. Karan doesn't have a real personality. He just absorbs whatever is popular or trendy or thinks is working currently. The man is completely empty on the inside. His whole life revolves around fashion and money and showing off. He has two kids but is always busy partying and traveling the world alone. Hah, I like most of the movies SRK produces. I think we have similar taste in movies apart from the Rohit Shetty movies though I think he didn't really like them either, just felt he had to do some masala movies. I really liked PBDHH too. I like most of his flops more than his hits. I've seen SRK say in an interview that he knew Swades was slow and boring and needed to be edited but Ashutosh told him his parents really wanted to make this movie like this so he couldn't argue with it. Rab Ne is special too. This was probably the last SRK film I truly loved prior to Raees. For all the silly talk about the "unable to recognize" factor, I felt Adi and SRK did more than enough to ensure that was a real case. Heck, I can relate to at least a couple of such cases from real life myself. This film - IMO - was also the last universally loved SRK film, followed only be CE in the subsequent 10 years. Rab Ne had a lot of purity and goodness, something Adi may have blown up with Befikre (did not watch due to Ranveer). Rab Ne had a lot of purity and goodness, something Adi may have blown up with Befikre (did not watch due to Ranveer). Befikre was actually a pretty decent movie but was very very badly marketed and had the wrong casting. You just can't show 200 kisses as a way to promote a movie. It's a huge turn off. Not only that, both the leads are very ugly which is a major uphill climb when it comes to a romantic movie. There are literally times when you want to turn your face away from the screen because both Vaani and Ranveer are so unattractive. Adi really messed it up wanting to use his YRF Talent people. Ranbir would have made it work. Maybe even a Tiger or Varun type would have worked. Now Adi had ruined his reputation completely with that movie. YRF itself is also down in the dumps and has nothing going for it except Salman's Tiger franchise. Yeah I love RNBJ as well. Didn't mind the not recognizing part either, maybe s bit unrealistic but it lead to so many impactful moments and a really sweet story. True, after this Movie SRK for the most part lost the connection with the GA for some reason. Somehow CE ended up working but he couldnt keep it consistent and since then literally every one of his movies is divisive. I wish he would get a universally loved Movie again. Don't watch befikre, it's garbage and a poor attempt at a "modern" Love story. Really quite the opposite of RNBJ which had so much heart and innocence.